What does Briac mean, details, origin, short & easy attributes? Irish name of uncertain etymology. It is generally thought to be of Celtic origin, but its meaning is disputed. ... The name was introduced to different parts of England in the Middle Ages by Scandinavians from Ireland and by Bretons from Brittany. Var: Brien, Bryan. Short: Bri. Briac is baby boy name mainly popular in Christian religion and its main origin is . Briac name meanings is Disputed Some believe. Other similar sounding names can be Brian. Each letter meanings in Briac Name. Popular personalities with Briac Name. 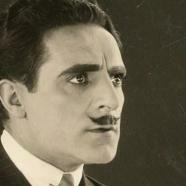 Jean De Briac was an actor. His most notable accomplishments were from 1920 to 1962. Jean was born on August 15th, 1891. He breathed his last breath on October 18th, 1970.